Must be dancers – All entrants for the ‘Face of Capezio’ Model Search must also be a dancer. Online Heat Results are announced within 14 days of each heat closing. 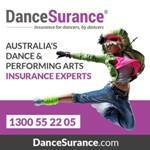 Registrations for Nationals will be open to qualified acts once results are announced. Successful finalists will be invited to enter the DanceLife Unite Nationals to workshop with some of Sydney’s finest models where they will learn a dance-oriented catwalk routine and ‘raw’ photo shots will be taken. Grand finalists will then compete for the National Title in their age group. Capezio representatives will choose four winners from our Grand Finalists.